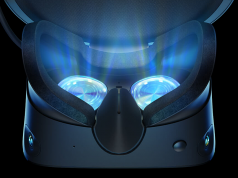 The Oculus Rift developer kit might not have shipped yet, but that hasn’t stopped some intrepid developers from working on exciting Rift projects like virtual reality desktop environments. Hesham Wahba is a developer working on one such project, he calls it Ibex. The goal of Ibex is to create a full virtual reality desktop environment for use with the Oculus Rift and other head mounted displays / VR headsets. Such an environment could provide the user with a huge amount of virtual desktop space even when there is little physical room to spare. I spoke with Wahba about his exciting plans for Ibex. Wahba, originally from Egypt and now living in New York, tells me that he’s been programming professionally for more than a decade and has programmed for fun ever since he was a child. “Since before the Oculus Rift I’ve wanted a virtual reality desktop,” he said. Even though what you see above is an early form of the program, only a bit of imagination is needed to see where Ibex could take us. Wahba wants to do more than just put floating windows in front of your face. He envisions a program that bridges the gap between virtual reality software and virtual reality games. “I’m certainly hoping that for Ibex, in addition to having a simple clean workspace as you’ve seen, I’d like to add a virtual world around it so you can work in a beautiful field with a river flowing by and actually get up and go there to think or take a break…,” he said. 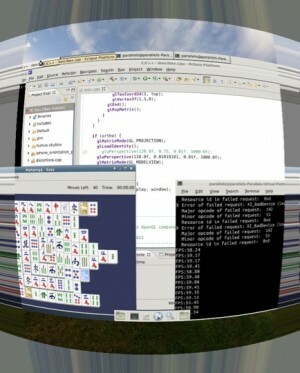 For now, Wahba is using a 360 degree panoramic photo as the background of the VR desktop space. For the final version he has something much more elegant in mind. I can imagine it now: after a few hours of work, wandering away from floating desktop screens out toward a glimmering stream; the crisp sound of trickling water growing louder as I approach. There’s so many great possibilities with working in a virtual reality space like Ibex. Maybe once in a while you get an animal visitor wandering by your workspace? Snow in the Winter, perhaps? Wahba says that Ibex is being created as an extensible program through plugins. It might be possible to add a number of virtual backdrops to your virtual workspace. Maybe there could even be secrets to find in such virtual reality worlds for when you’re wandering around on a break. “The Nubian Ibex is a beautiful desert wild goat lives in upper-Egypt and being inspired by Dune I’ve always thought of the desert as a huge expanse of open possibilities and hidden secrets making it an appropriate name for a virtual reality desktop,” he said when I asked him about the name of the program. 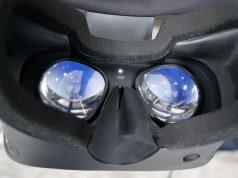 Wahba notes that virtual reality environments like Ibex can create productive virtual reality computing environments out of limited physical spaces. He’s also considering using the Leap Motion, a device that creates a motion sensing field to recognize hand-gestures, to allow the user to reach out and manipulate their virtual workspace in a natural way. “Virtual reality desktops can in the short term increase the working space that we have so that, instead of needing the space for a 30″ monitor a few of them and the associated costs, you can create virtual workspaces at whatever size you need and lay them out however you want while hopefully still comfortably working with them. If one is flying on a plane, for example, using something like the Leap Motion and the Rift, you can end up working on many much larger screens just as you’re used to at home without being constrained by the tiny laptop screen you have,” said Wahba. Enticing possibilities for sure, but for now there is more development work to be done on Ibex before we can consider the usefulness and intricacies of the virtual world surrounding the user. In the latest updates (you can follow along at the Ibex project page here) Wahba has been working on adding the necessary distortion to Ibex to fit the Oculus Rift’s optics. Bending the scene in this way counteracts the effects of the Rift’s curved optics and provides the user with an immersive high field of view to truly feel surrounded by the virtual world. Wahba is currently developing Ibex on Linux which is easier to work with from a development standpoint thanks to its open-source nature. Windows and Mac would be harder to get Ibex running on, but Wahba say’s he’d like to do it if possible. “In terms of bringing ibex to other systems, I believe Windows has the most potential and is something I’ve been thinking about. Once I have a more stable system on Linux I will try. My main machine is a Mac at home so it is near and dear to my heart and one day I hope to bring Ibex there as well, but that is far off. There are technical challenges to get [desktops] virtualized with high performance, but the fact that there are remote desktop applications out there written by 3rd parties gives me hope that we can at least get a virtual desktop up on any system even if we won’t be able to get the more interesting 3D windows and more powerful features that can only come from window managers that want to give us extra information that we can use to support them,” he told me. The resolution of the Oculus Rift developer kit is only 800×640. I asked Wahba whether this would present an issue for the usefulness of Ibex. While he doesn’t yet have a Rift, he has tested Ibex at the same resolution with his laptop. “The resolution of the Rift is relatively low for desktop rendering purposes, but I think that initially what we’ll end up doing is just increasing the size of the virtual monitor. 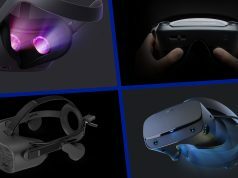 Until I get a headset I can’t say for sure how sharp it will be but based on tests on my laptop I think that it will be usable even at the lower resolution of the Rift, and it can only get better with no changes on Ibex’s side for that,” he said. The consumer version of the Oculus Rift (Oculus Rift 2.0 as I’m calling it), which is expected to launch in 2013, will have a higher resolution display which would likely improve the experience. The company behind the Rift, Oculus LLC, will soon be releasing an Oculus Rift SDK (software development kit) which may help Wahba more easily perfect Ibex. Ibex isn’t necessarily exclusive to the Rift. With head tracking, any head mounted display / VR headset could potentially use the Ibex virtual reality desktop. Wahba has custom-written an iOS app that sends orientation data from his iPhone to the computer for use as a head tracker. He hopes to release this app through the App Store to allow anyone to add headtracking to an HMD for use with Ibex. Even more exciting than using a smartphone as a head tracker would be using a smartphone as an all-in-one virtual reality desktop solution. The Oculus Rift is expected to function with both iOS and Android devices. Wahba tells me that it is possible for an environment like Ibex to run from a smartphone, assuming you’ve got proper inputs (like a bluetooth keyboard/mouse). This would mean the ability to carry an infinitely large virtual workspace on you with no more than a smartphone in your pocket and an Oculus Rift in your backpack. The possibilities therein are quite tantalizing. Wahba has been exchanging programming expertise regarding Ibex with MTBS3D forum members LeeN and NickK, who are working on a similar virtual reality desktop program called VR-X-Wrapper. Wahba credits them with helping him with the Ibex project. LeeN is hosting the VR-X-Wrapper code here for anyone who wants to play with it. Similarly Wahba’s Ibex is fully open-sourced and available here. “Suggestions are always welcome,” he says. The discussion between the three is going on in this thread (expect lots of developer-speak!). This is incredibly cool, the potential for this type of application is limitless, would love to get involved.